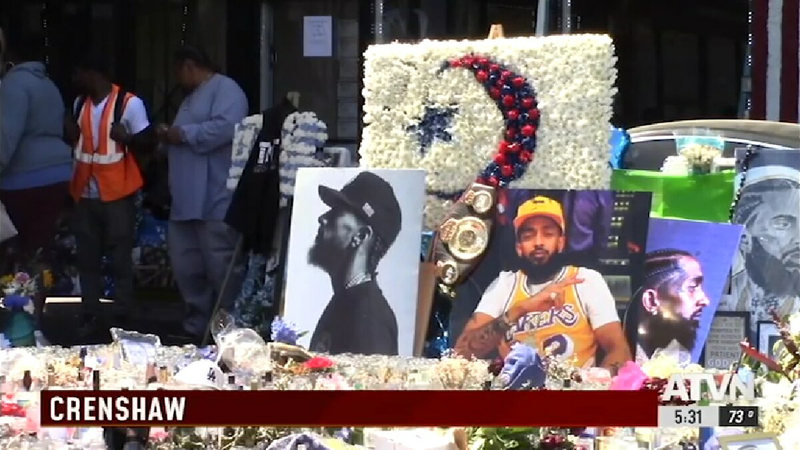 South Los Angeles continues to show solidarity a week after the murder of local rapper Nipsey Hussle. Annenberg Media reporter Taylor Elliot reports live from the intersection near Hussle’s store, which has been renamed in his honor. South Los Angeles continues to show solidarity a week after the murder of local rapper Nipsey Hussle. Annenberg Media reporter Taylor Elliot reports live from the intersection near Hussle's store, which has been renamed in his honor.